Engineer-designer Roy Lunn and his industry successes – Mustang I, GT40, Jeep Cherokee and AMC Eagle – are being celebrated at the prestigious Automotive Hall Of Fame. 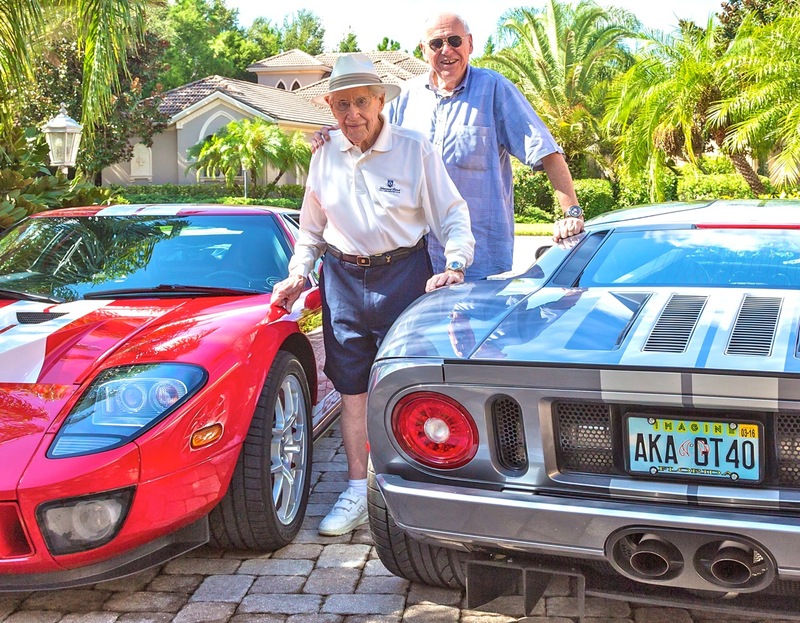 Roy Lunn with CGC Editor, Marty Schorr, and Ford GTs, the spiritual successors to the original Le Mans-winning GT40s. Photo was taken in 2015 when Lunn was nominated for induction into the AHOF by Gary Jean, owner of the red Ford GT.